If you can tell someone has come home by the immense ruckus your garage door makes when it is being opened, then it’s probably time to fix your door. Don’t worry; the key to fixing your clunky sounding garage door is just simple maintenance. It doesn’t take a master carpenter to be able to finally silence a pesky door, just a few tools and a good eye for what may be causing the majority of the noise. Why does it seem like garage doors are always making a racket? Garage doors have many working parts that experience wear and tear every time you open and close them. These parts need to be cared for, just like any other piece of equipment or machinery. Daily use of garage doors can kick up grime, dirt, debris and dust onto the lubricated moving parts. This causes excess friction and the parts grind against each other during moments of operation, causing damage and creating noise. Over time, these rollers, hinges and other door components take our daily abuse and require occasional upkeep in order for the door to not only operate quietly, but also operate smoothly and seamlessly. What you’ll need: the tools required to silence that endlessly noisy garage door of yours are ones that you probably have lying around. Some other materials may require a trip to the local hardware store. 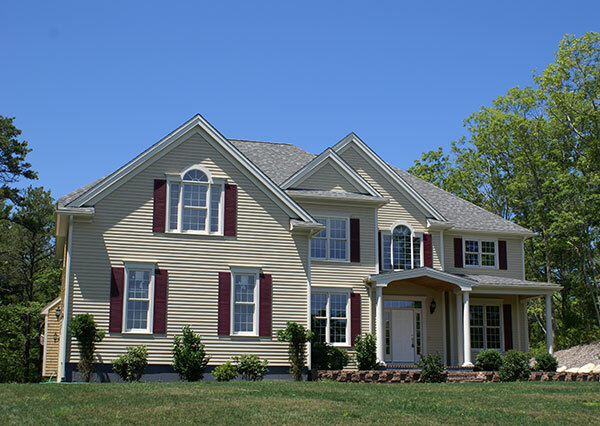 Before you go out and purchase your materials, inspect your door first to see how many parts you may need. Examine your hinges, rollers, nuts, and bolts, to take note on what parts are damaged and need to be replaced. Using a socket or adjustable wrench, tighten all of the nuts. Be sure to not over-tighten in this step or you could be in danger of stripping the screws, or worse, pulling the carriage bolts through the door. Your garage door has many different parts and pieces required to keep in moving and operation, so along with the nuts, you’ll also need to check for any loose screws. If you find loose screws, tighten them with a screwdriver. Check the bolts. Any conjoining part of the garage door will need to be inspected. Bolts are ubiquitous in garage doors and help hold all of the different parts together. If they appear loose, tighten them. 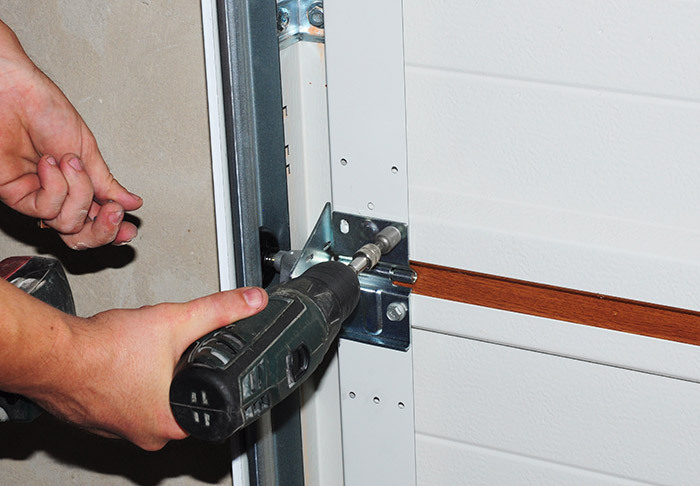 Rollers are one of the working parts of a garage door that sees some of the most abuse. Rollers that have seen better days can actually teeter back and forth as the door operates, which is possibly the main source behind the angry noise. Often times, the bearings that many track rollers have will worsen with wear, which can cause this wobbling. Nylon rollers are recommended if you’re fixing a noisy garage door but they’re known to be more expensive as opposed to metal ones. While metal rollers are indeed less expensive, if you’re trying to solve the noise level of a garage door, the nylon rollers will be a better option in the long run. 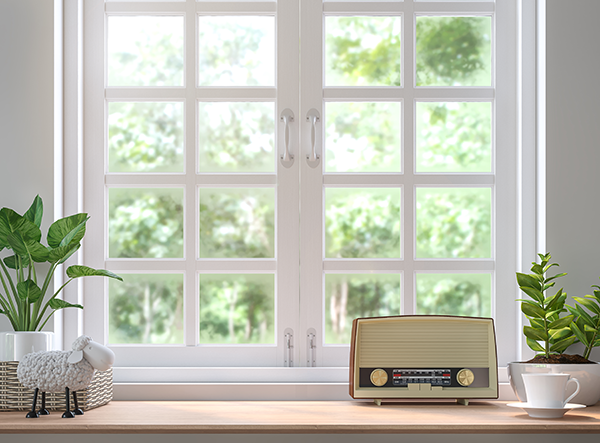 However, the price is worth it if you have a small house where the noise of your garage door going up and down reverberates throughout it, or especially if there’s a bedroom in close proximity to the door. Replace the rollers one at a time and do not try to replace the rollers in the bottom bracket. For this job, call the professionals, because trying to remove the rollers on the bottom bracket could result in serious injury due to the constant spring tension they are under. Hinges can usually last quite a long time under the constant duress of the opening and shutting of the garage door. Check each hinge carefully as part of your inspection of the noisy door; an out of shape hinge that needs to be replaced can contribute to the door’s constant racket. A sign of a hinge on its way out is metal shavings and gray colored dust, this means grinding and friction and you’ll want to replace this. You put in all of that hard work in checking every nut, bolt, roller and hinge in all the door’s nooks and crannies. Don’t let it go to waste by forgetting to lubricate everything! Lubrication will prevent the parts from wearing out and from making noise, a double win. You can purchase a lubrication kit specifically designed for garage doors at your local hardware store for under $10. Remember to lubricate every six months to maintain your quite garage door. Also, be sure to purchase lubricants that are designed for garage door parts. Many lubricants that consist of oil, spray lithium grease or regular grease tend to attract dirt, debris and grime, none of which are advantageous for moving parts. There are so many working parts to a garage door it can be easy to miss something. Don’t forget about one of the main components of your noisy door – the opener chain. For this part of fixing your garage door, you may need to grab the operator manual. A loose opener chain can not only cause jerked movements with your garage door, but also make loud noises of metal slapping and clanking. If this sounds like your noisy garage door, start by tightening the opener chain. Instructions for this are likely to be found in the owner’s manual for your garage door. For track drive openers, grease the opener track so it can operate smoothly. If your garage door is still making noises after you’ve followed these steps, you may have other issues at hand. Some parts, like the motor, may need to be replaced completely and can’t be salvaged. An aging motor is often loud, and most of the time, there’s really no good fix other than to upgrade it. For attached or tuck-under garage doors, there’s another option for you to try to lessen the noise. You can use homemade anti-vibration pads, easily constructed from old or unused rubber tires, or purchase anti-vibration pads designed for garage doors from hardware and home supply stores. To install these pads, slide one between the ceiling and the mounting bracket and a second pad on the other side of the bracket. These anti-vibration pads will soften the noise the door makes during its operation of opening and closing. Acting as a noise buffer between the moving parts, these pads are a handy fix in lieu of replacing the entire motor. If your garage door makes a loud and obnoxious noise during opening and closing, the fix to lessen the noise can be as simple as these steps. 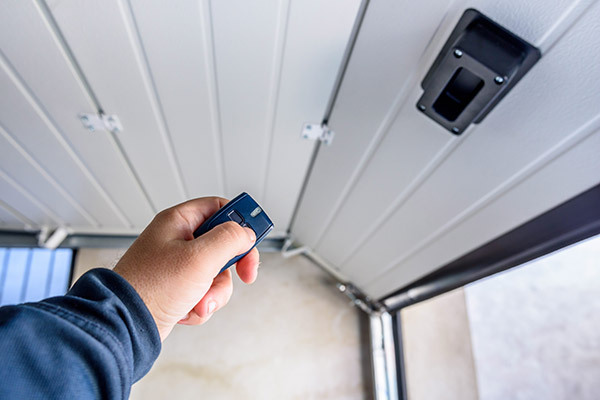 With a few tools, lubricant and extra parts that can be obtained from your local hardware store, your garage door can go from clanging and causing a racket to being quiet and barely heard. Sometimes, the noise won’t go away. In such a case, it’s time for replacement. A new, steel insulated garage door will be quiet to use and help keep your garage at a comfortable temperature year round. Madison homeowners turn to Feldco for their garage door replacement needs because we’ve been in business for over 40 years and have served over 350,000 homeowners. Get a free quote to get started on your garage door project with Feldco.